Nadav Galon, Dr., lecturer at the Koret School of Veterinary Medicine in Israel, consultant of the OIE and FAO, studied Veterinary Medicine at Pretoria University in South Africa, received MA degree in Public Administration Health Systems from Clark University, USA, and is an Israeli certified specialist in Cattle Medicine. 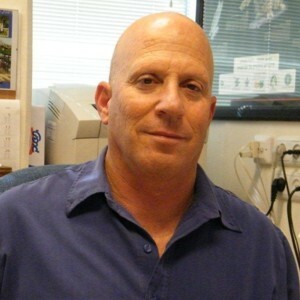 He worked over 20 years as a clinical veterinarian at Hachaklait Veterinary Services in Israel. He served for seven years as the Chief Veterinarian of Hachaklait; managed 50 vets, 1,500 clients, and over 1,000 intensive dairy farms. From 2011 to 2017 he served as Israel national Chief Veterinary Officer, director of the national Veterinary Services and delegate to the OIE. Currently he is a consultant to the OIE, FAO, other organizations and companies world-wide. He is a lecturer at the Koret School of Veterinary Medicine in Israel on risk analysis and regulatory veterinary medicine and is a frequent speaker at national and international conferences.